Fashion, beauty, food, travel, culture, lifestyle. Today I have been downloading some lovely new music to listen to on my iPod (I bought myself a rather snazzy new 'Touch' in white and it's currently my favourite toy). 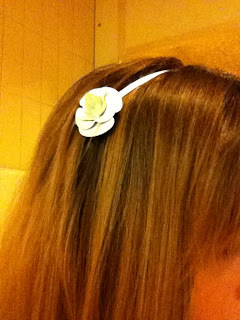 Most of the music I am in the mood for today is of the 60's girl group orientation as I am wearing a rather 60's outfit today, including an Alice band which is an unusual accessory for me!! I am also looking into joining a vocal harmony or jazz choir so I've been googling local groups and think I've found one in Amersham that might be worth a punt. My friend is taking me to Oxford Dogs on Saturday night, it'll be my first trip and I am rather excited at the prospect of a flutter and a good dinner. I'll definitely take pictures! Other things occupying my brain today are: Ebay vintage finds which I have no money for (sadly), planning to buy tickets to this year's Vintage Festival, where to go on my next National Trust jaunt, cocktails, and how I'd like my hair to look when I get it done tomorrow night. 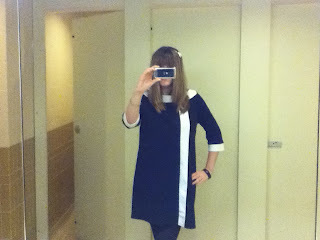 Oooh, fab dress! I love it! Thanks Melanie, Clare has such a great eye for things so I can't take credit I'm afraid. It is very wearable though. Thanks!! It's such a nice dress. I'm so excited for our next NT visit and I am now liking Vintage on Facebook. Will buy tickets on my next pay day. Incidentally there's a Travelodge about 5 miles away from Vintage if you did want to go for the whole weekend, rooms about £36 per night at the mo. Oh Lisa, that dress is fabulous, I love it on you. I'm a 30 year old woman blogging about staying fit and healthy and the challenges I encounter along the way.